I typically find myself bound to Center City dining. But when I heard of the great things coming out of Autograph Brasserie's kitchen, how could I not stop by Wayne, PA? Upon the vaunted foundation of esteemed Georges Perrier's Le Mas Perrier, Autograph is the next offering from restaurateur Marty Grims, known especially for White Dog Cafe and the Moshulu. Since opening earlier this year, Autograph has been come a Main Line hotpspot. 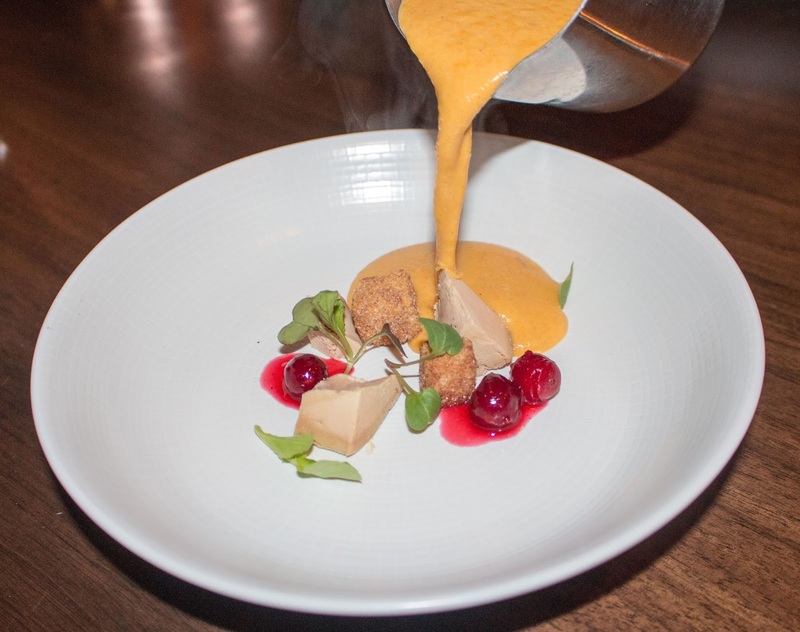 While it's easy to simply say that it fulfills suburbia's need for Center City tastes, Autograph delivers more than that. To the left of the foyer, feel free to indulge in specialty cocktails at the gorgeous bar, complete with a custom trumpet chandelier from Portugal. Head right through the boulevard of private booths and you can dine intimately in the "Sycamore Tree" room. Gold petal lights flicker amongst the leaves as you enjoy house-made pastas and the ever-popular toasts. Make way to the backroom bar, which evokes a "Mad Men"-esque backsplash. This leads to a more formal Club Room, where 40-day dry aged steaks can satiate captains of industry or carnivorous connoisseurs alike. 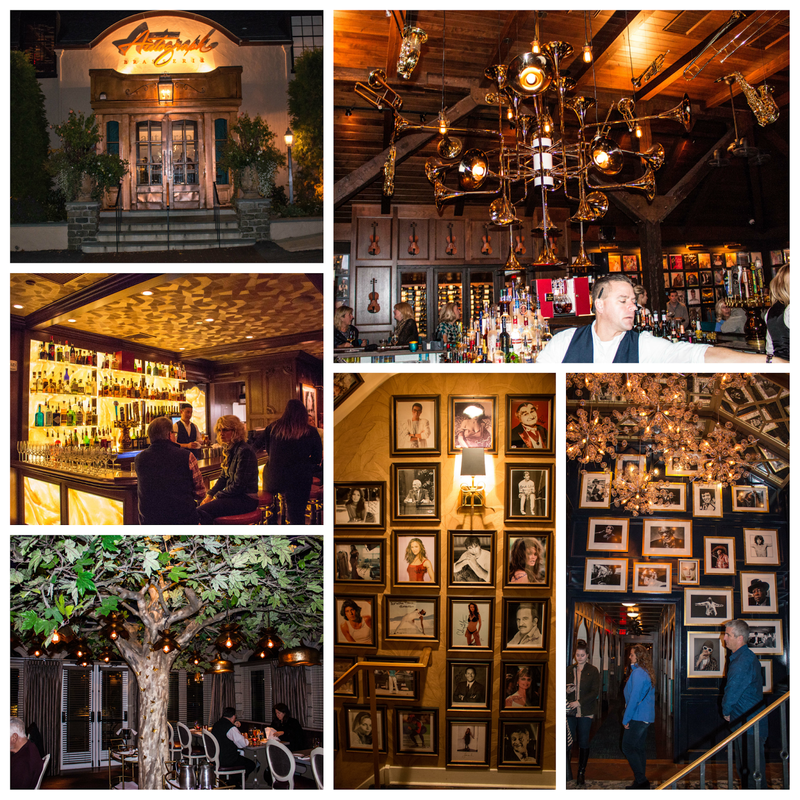 All the while, your head will spin at the multitude of autographed celebrity photos adorning the walls. No surprise here - I started off my meal with a whiskey-based drink. The smoking sazerac was right up my alley. Table side service highlights the interplay between the cocktail's elements. 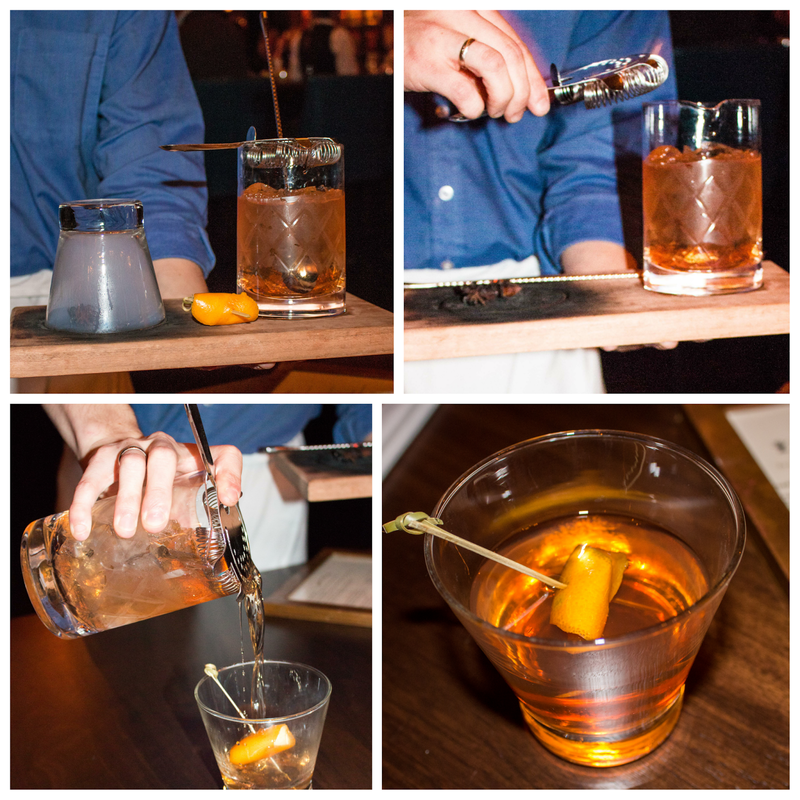 With the backbone of the smoke, the caramelized sugar and subtle sweetness of the burnt anise and absinthe worked well to balance the Rittenhouse Rye and bitters. Smooth and enjoyable. 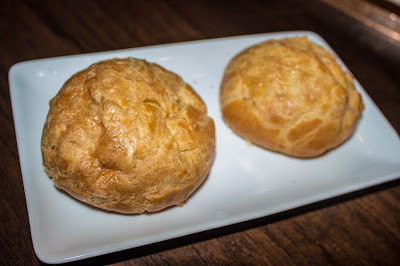 Meals start off with house-made gougeres - airy cheese puffs with hints of gruyere. These were also some of the largest gougeres I've seen! 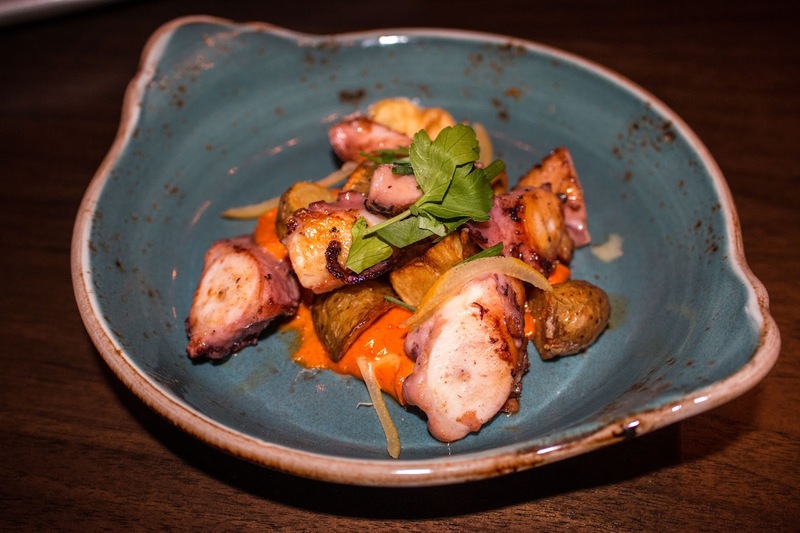 The octopus is tender as can be, with a light char on the exterior. Served with crispy potatoes for some heartiness and preserved lemon for some acidity, the real star for me was the smoked pimenton aioli, which had kick from the paprika. There are a variety of toasts on the menu and I'd recommend getting at least one to share. 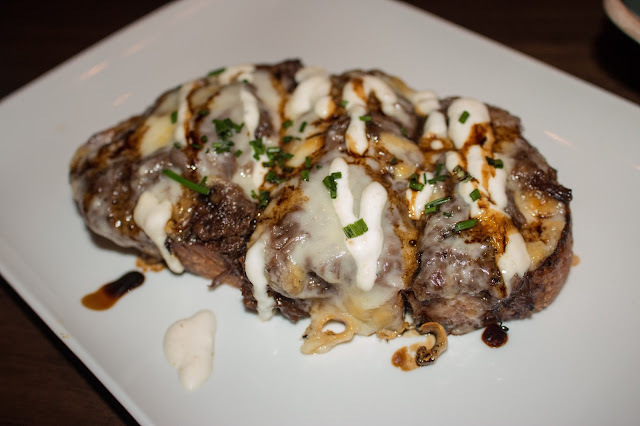 The short rib and horseradish offers a richly savory route, with hearty short rib accented by caramelized onion, all balanced by aged white cheddar and bite from the horseradish. The kitchen sent out an off-menu dish that was a standout. A deconstructed version of classic foie gras torchon was plated with buttered brioche croutons and spiced cranberries. Channeling fall flavors, butternut squash bisque was poured tableside to envelop the dish in a sweetness that offset the richness of the foie. I enjoyed the tartness of the cranberries coming through on the finish. Seafood lovers can rejoice as fish is expertly cooked. 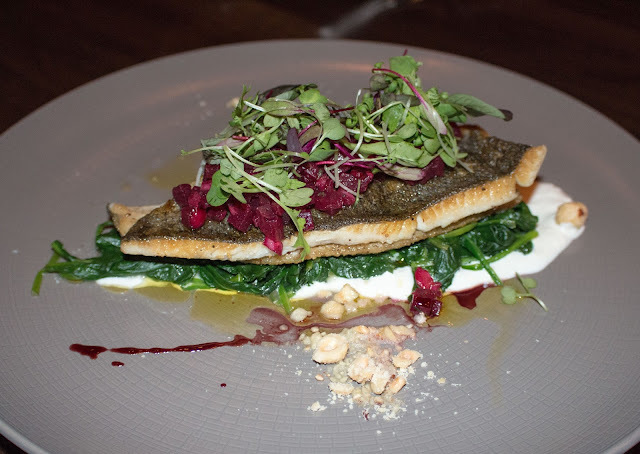 Trout came with crisped skin, atop a bed of greens and horseradish creme fraiche. Along with a light citrus herb salad with beets, hazelnuts offered texture. 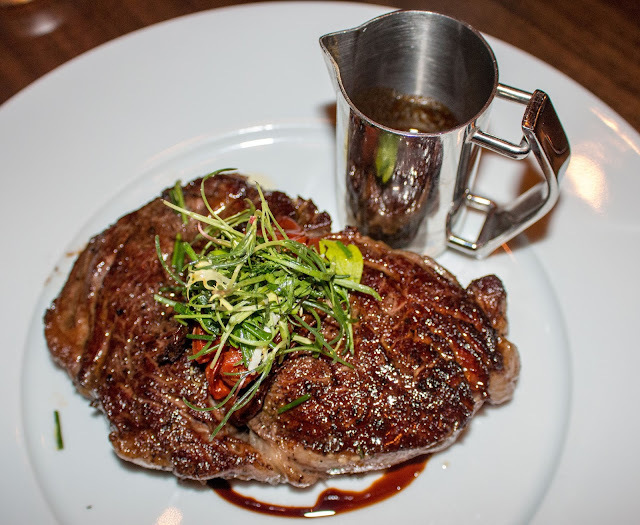 Autograph's beef is high-quality and my recommendation would be the 40-day dry-aged Colorado ribeye. With a well-seasoned crust, the steak cut like filet. The subtle funk you'd expect from the aging was cut by the rich bordelaise sauce and the acidity of accompanying sun-dried tomatoes. Deliciously decadent. 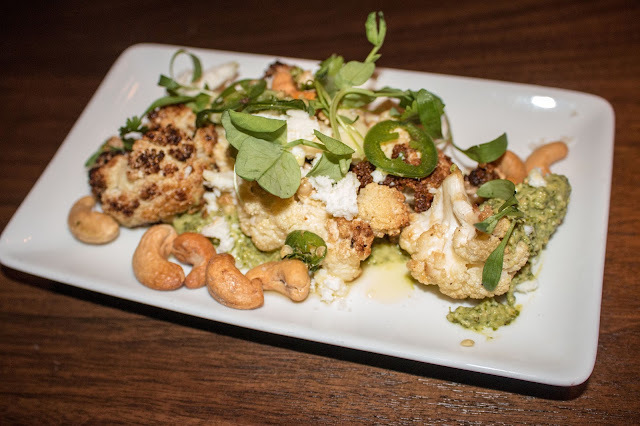 If you're looking for a lighter side to accompany your main, do try the charred cauliflower. It came out smoky and dressed with an herbaceous pesto, offering a salty hit from the queso and some kick from the jalapeno. If you're like me and prefer rich on rich, the mac would not lead you astray. 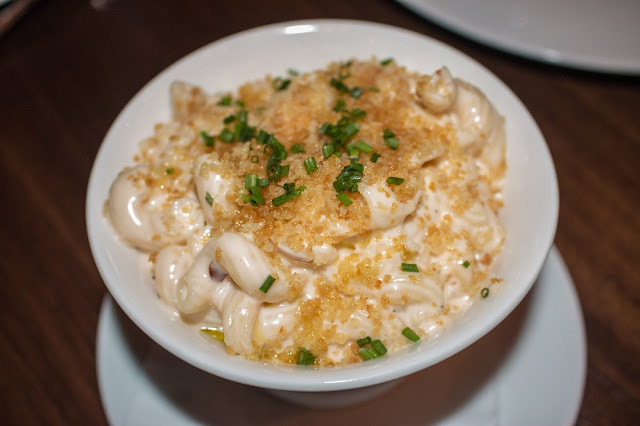 Once you get through the beautifully buttered panko crust, the truffle essence of the mac n cheese emanated an earthy umami. The cavatappi noodles were perfectly al dente and absolutely coated in a creamy gouda sauce. 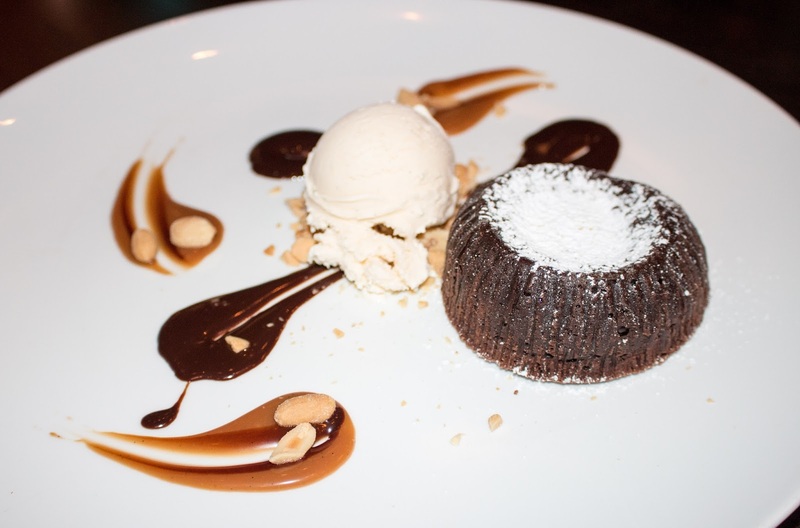 Autograph's got a variety of options to satiate the sweet tooth within. I went with the chocolate peanut butter cake, which was moist and revealed a gooey peanut butter chocolate center. Paired with the sweet vanilla bean ice cream, this was the perfect ending to a wonderful meal. So if you live in the Main Line area, I'd make it a point to head over to Autograph and become a regular. 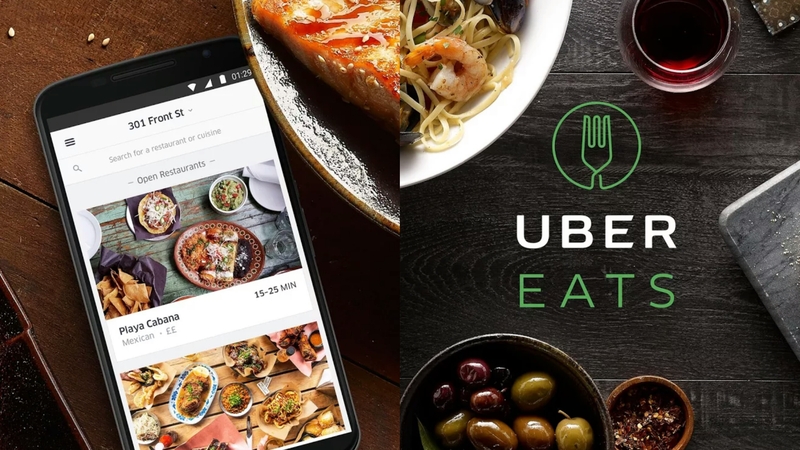 And for those of us living in the city, the case is certainly being made for suburban living, without losing any of the tastes we've grown accustomed to. FTC Disclaimer: This meal was organized by Fearless Restaurants. Regardless, my opinions are mine alone and, therefore, unbiased.